Today marks the 2-year anniversary of Stonemaier going Kickstarter-free, as our Scythe campaign ended on November 5, 2015. Since then I’ve loved seeing other creators continue to use Kickstarter in innovative and evocative ways. I’ve also enjoyed seeing publishers use traditional model of distribution in ways that simulate some of the benefits of crowdfunding, like building community, gauging demand, and generating awareness. Part 1 was about why we stopped using Kickstarter (fulfillment risk, time, human nature, relationships with distributors/retailers). Part 2 was about how we could simulate the benefits of crowdfunding without using Kickstarter (polling consumers, distributor pre-orders, Facebook groups). Part 3 was about the reality of how those ideas were working out. 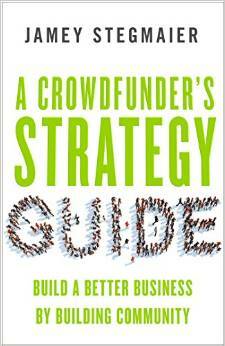 I’ll continue to use the format from Part 3, as it focuses on what I consider to be the top 5 purposes and benefits of crowdfunding. I won’t rehash things that haven’t changed since Part 3, so if you’re interested in the full answer, I’d recommend reading it too. In the comments of last week’s post about our annual charity auction, reader Joy mentioned that one of the great things about community on Kickstarter is that its transience allows for greater engagement. Basically, because a Kickstarter campaign is comprised of such a short, intense period of time–instead of being perceived as an eternal commitment–people are more likely to engage with it. I’d like to find a way to simulate this for each of our new releases, though I’m not quite sure how. Any ideas? With our substantially increased focus on relationships with distributors and retailers in the post-Kickstarter world, a big part of community building is through them. As part of the monthly updates to retailers and distributors, I’ve tried to listen to what they want/need and respond accordingly. For example, sometimes a retailer somehow doesn’t get any copies of a game from their distributors, so if that happens, I want the retailer to know that I’m here to help. If they feature one of our games in a tournament or demo event, I’m happy to provide promos or prizes. Retailers seem to be responding well to the outreach. Blind playtesting makes games better, but a big part of Kickstarter is improving a project through stretch goals and listening to what people really want. Stretch goals I have covered–I stretch the budget for all of our games to put the highest quality components in the game (e.g., Charterstone has over 350 unique illustrations, 36 metal coins, and 230+ wooden tokens). But what about listening to people? With Charterstone, all of the public engagement about the game has happened after the game already entered production, so there’s no room for feedback at that point. This is a tricky subject, because I don’t want to talk about a game too far before release. Perhaps I need to expand the way I talk with our ambassadors about games while they’re still in development. A big part of my strategy over the last 6-8 months has been to gauge distributor demand for upcoming products and print runs so I can guarantee quantities. For the most part, this has worked out well, but distributors simply aren’t accustomed to being asked for such estimates many months before release dates. While some respond well to it, others have expressed frustration (even though I think they would be more frustrated if we didn’t make enough games to cover their demand). So I’m trying to learn to walk that line. One thing I’ve really liked about the move away from Kickstarter is that I can include localization partners in the initial print run without worrying about the estimated delivery date you have to note on Kickstarter. While there’s still pressure to release a new game, it’s nice that we have the time to gauge demand among our international partners to allow for a bigger overall first print run. When I used Kickstarter, part of my commitment to backers was that I would deliver to them before selling the game through distribution or at conventions. In the post-Kickstarter world, I have to say that it was really nice to be able to sell Charterstone and The Wind Gambit at Essen Spiel without worrying about such promises, as the convention created some nice buzz for those new releases. Sure, ideally the worldwide release would happen at the same time or immediately after a big convention like that (instead of a little over a month later), but it’s nice to have the flexibility. A big part of our strategy for generating awareness and buzz is through reviewers. For The Wind Gambit, I sent around 10 advance review copies and told the reviewers they could release their thoughts whenever they wanted. For Charterstone’s advance copies we used a reviewer embargo so no one would feel like they had to rush through the campaign to post the first review. I felt more pressure than normal for these reviews, because there was no Kickstarter campaign solidifying pre-sales: If reviewers hated those products, their thoughts would have had a huge impact on sales of games that are already on the boat from China. There’s no safety net. Back in May, we initiated a print run of over 200,000 units of various products, all estimated for retail release during the holiday season. We didn’t have the cash on hand to afford a print run that big, so we turned to distributors to see if any of them wanted to pay up front at a small discount. We were fortunate to have a number of distributors participate. In hindsight, it’s a big reminder to me that cash flow is a fickle beast, and if we want to continue making print runs that big, we may need to consider other sources (like bridge loans). Overall, I continue to be happy with our decision to move away from Kickstarter, despite my love for the platform and the benefits it provides. Sure, every now and then I get nostalgic when I see a big, exciting campaign in progress, and I wonder what Charterstone may have looked like on Kickstarter. But I’m pleased with our path. What do you think? Is there anything you want to know about Stonemaier’s last 6 months or beyond in relation to us no longer using Kickstarter? I’d say that there are too many stores in this model to make allow for the call to action to make this work without some web portal. Something that may work would be a link in your newsletter that links to a KS like page that contains info on the product/game. Then A link to preorder now!! That leads to a page that asks for your country and zip/area code, that would then give a list of stores they can order from, that stores have submited links to you to use. It then takes the person to the end store where they can make the trigger to buy/preoder. This is how things generally work for the Iphone and other big products coming out that go through stores/distributors. Only viable simplest solution I could find to solve this issue. Sean that sounds like a bit like a marketing funnel which are definitely great tools for qualifying customers and ensuring that only qualified leads get through and get the product form the right place. It is definitly a marketing funnel and I was comparing it to the Viticulture Moore visitors expansion which was similar to this, but had not seen it done since. He worked with a large number of stores to funnel people to them, and I think it worked out well for both parties. The idea would be to set something up similarly and to coordeinate so both Stonemaier and the Stores benefit. Thanks for clarifying! I was puzzling over that myself. :) While I liked that method, it cut distributors out of the equation, which wasn’t good. I currently funnel customers to retailers listed on our retailer locator, though they’re not taken directly to an order link. I think I could add that the next time we announce a new product, though. Couldn’t find a way to reply of your last comment, but was basically referring to your retail locator. I was thinking that the Retail Locator was not cutting your distributors out of the equation as the Stores would order through the distributors based on the preorders made from the retail locator. Going back over things Here is what I am seeing. Retail locator could look “snazzier” with a world map, and way to narrow down stores and pins. But what you have works, and should drive customers to where you want. What I think is missing is the following. Charterstone: As you may have seen in the Facebook group, early reviews of Charterstone are now available for you to make an informed pre-order (Dec. 5 release). Scythe: The Wind Gambit: Similarly, early reviews of the second Scythe expansion are available here (December 5 release, same as the Legendary Box). PAX Unplugged and BGGcon: I won’t be there, but have fun! New Scythe Promos: We now have all of our current Scythe promos in stock at Meeplesource, including the long-awaited encounter cards 37-42 and blue $10 coins. Meeplesource is also accepting pre-orders for red $5 coins and sets of $1 coins. Here is what I would change, with the ****words**** to highlight it. Charterstone: As you may have seen in the Facebook group, early reviews of Charterstone are now available for you to make an informed *****pre-order(Retail Locator Link or Game page here)**** (Dec. 5 release). Scythe: The Wind Gambit: Similarly, early reviews of the second Scythe expansion are available *****pre-order(Retail Locator Link or Game page here)****(December 5 release, same as the Legendary Box). Basically right now the only one that has a link that allows people to click through and preorder is the New scythe promos from Meeplesource. Another option would be to add Graphical links to preorder for each section or game, as sometimes people will skip over the links. I really like this series of articles because I feel that so many companies struggle to transition from KS to other channels of sales. Time and time again I see companies who are passionate and have this highly successful Kickstarters simply sort of disappear into the background due to not transitioning well and you see a ton of advice for how to run a Kicktarter but very little for what to do afterwards. So this series has become one of my favorites to read. Definitly, at the same time you see companies that stay to Long on kickstarter, Cool Mini or Not being the most prolific example. On top of them doing kickstarter exclusive expansions/players like they did for Blood Rage, and The Others. Its a pet peeve of a lot of folk. Regarding ideas to simulate transient engagement for new releases, I think you could get a similar effect by offering some semi-segregated communication strategies. Consider transient mailing lists for individual titles, for example. Someone might like to hear absolutely everything about Charterstone, but not really care about new Scythe expansions (maybe they don’t own Scythe). Within such channels you might restrict cross-product promotion to maintain focus. Everything in such a channel would probably also go out to people subscribed to the broader mailing list. You never want your biggest fans to miss stuff. Then, some amount of time after the title is released and in people’s hands, you could decide whether to keep it open or close it. Similarly, you can maintain individual web pages for the products with their own updates and news feeds. However, this adds back in some of the effort I think you were trying to save. I bet you could find ways to reduce it though, at least a bit, so you still have a net of time saved. Thanks Dan! That’s actually exactly what I do with each of the game-specific Facebook groups I help to run. It works out really well, though I think what’s lacking from those groups is urgency. There’s no start and end within a short period of time–rather, there’s a start, and then the group just lives on forever. That’s a good thing overall, but the transience Joy touched upon is that it’s compelling to be a part of something during a condensed period of time when you’re sharing that excitement with a lot of other people (without having to sustain it forever). Keep in mind that not everyone uses FB. In the few KS campaigns I’ve been involved in, there was an unexpectedly small amount of crossover between backers and people who visited our FB and Twitter pages. Absolutely right! And like many people, I’m on FB. Probably 75% of my FB activity use is board game related. But I hit it maybe once a day, for like 10 minutes. Just the way I prefer it. I’ve backed a decent number of games on KS in the last 5 years, and not once did I spend any significant amount of time on FB for one. I don’t think that’s unusual. If you find that you aren’t getting the kind of engagement you want from FB, then you have to consider supplementing it. Luckily there are tools to use for posting the same content in multiple places with a single click. Mailchimp is the only one I’ve used, but it’s not unique. I hope it doesn’t feel like I’m just trying to argue a point here. I want Stonemaier to succeed and I want you to figure out the best way to run it so everyone can use you as an example of success! You know, Mailchimp has a “segmented audience” feature that I’ve never used–this could be a good way to use it. Thanks for sharing, Dan! Thanks for sharing, Stephen! I’m entrenched in Mailchimp at this point, but that sounds like something others might want to know about. What do you think about the way Portal Games has gone with preorders and “stretch goals” to allow for that evolving narrative over the preorder “campaign”, but without Kickstarter as a middle manager? Ken: I think it’s neat! I’ve run pre-order campaigns off of Kickstarter, but a big part of it for me is that I’m just no longer interested in managing the process of fulfilling thousands of orders. It takes too much time, there are too many moving parts, and the risks I mention in Part 1 are still there (and this is all in reference to using fulfillment centers). I’m glad it’s working for Portal, but I definitely don’t miss that part of pre-order or KS campaigns. :) Plus, I’d rather have those orders go to retailers, as that reinforces our relationships with retailers and distributors instead of circumventing them. Thanks for bringing up my comments from the last conversation. I appreciate you looking at some ideas for what other kickstarter followers and I miss. I think it would help to structure how to build engagement with your customers based on when and how your kickstarter backers engaged most with your campains. I see a few times and some potential ideas to build engagement. I think you can create an announcement page within your blog that would contain similar content as a Kickstarter page. I would include a small sign up link on that page that gathers email addresses. In return participants would receive monthly updates and be entered to win an early copy of the game. By limiting the sign up window for the contest you could include a stretch goal type idea of number of sign ups = x amount of free games. I would also encourage the comments on the page and plan on being highly engaged on your end for that limited sign up time frame. After the contest ends interested parties could still sign up for updates. 3. When the game ships. I loved tracking the boats across the sea and hearing when people got the game. I would use the above list to tell everyone you started a geek forum of games on the way. Encourage people to post getting their games so we all can see. I would love to see people at their FLGS getting games. I know this is lots of text but I love to dream. Hopefully it is not overwhelming and I appreciate you taking time to listen. Thanks for sharing your thoughts, Joy! 1. I like the spirit of this idea–give people a reason to sign up to follow a specific product within a limited timeframe. However, as a rule (for good reason), we don’t do giveaways (see https://stonemaiergames.com/kickstarter-lesson-178-the-danger-of-free/). So I’ll need to think of another reason. 2. This is essentially what I’m doing in the Facebook group (and also posted on my website in the design diary section), but on a weekly basis instead of monthly. 3. Yep, I do this too. I think I’m essentially doing all of these things via the devoted Facebook group for each game. Like, I announced Charterstone on our e-newsletter, I funneled people who wanted to follow the game’s development to a Facebook group, and I’ve posted in that group tons of behind-the-scenes information and updates on a regular basis for many months. I think the key to your original idea, though, was that succinct timeframe of a standard Kickstarter project. That’s the part I’m currently not replicating–something special happening that won’t last long and that a lot of people are paying attention to and participating in RIGHT NOW. That’s what I need to replicate.. I was giving some more thought after my last post and realized part of the problem that I have now versus your kickstarter is that the information is spread out and not consolidated in one spot. Your reply confirmed that thougt. With kickstarter I could always go to the kickstarter page to find the latest. Now I end up on facebook, your blog, your website and BGG to track things. I thin building your website for each game to bether follow the kickstarter design with comments there being a way people can track may help. I would much prefer that over the Facebook model. I think the shortened time frame to get people interested is going to require you to consider some change in your current business model. You need to build urgency and without some sort of reward model for early adopters that may be hard. The raffle builds reward for small contibutions, a giveaway rewards early adoption. Both of these models share the idea of a potentail for a large reward but guarantees people the small reward of being part of a group together. I think you need some sort of hook of a larger reward to get the critical mass needed for the smaller reward of group involvement.The only large hooks I can think of is early access to the game, reduced costs for game, enhanced game experience, or small number of free products. Since you have removed yourself from direct distribution it somewhat limits large hook options. I’m still thinking but am it’s a hard one. That’s an interesting point about having a consolidated place to easily track the progress instead of hunting down that information in multiple places. I like that. I agree that a strong hook is necessary, and that’s a good start to help me brainstorm. Thank you, Joy! I wanted to give you some food for thought on the “free” game idea. I understand the concern about devaluing your product but I think a clear and limited gifting of games is not at all the same as the tabletopia experience. In my suggestion above of the hook of free early release games for a lucky few, you are rewarding those early adopters who are joining you on the ride. You need to see that they too are giving their time and energy to support you just like you give time to build the game. I overall like your company and approach but the no giveaway philosophy can sometimes come across like Stonemeier snobbery. I don’t think a company needs to always have give aways by any means but strategic giveaways can build a connection and act as a thank you to your loyal fan base. Joy: I do give away things from time to time, but not through random raffles or sign-up gimmicks. Here’s the key: If I ask people to participate in something (say, to join a group about a certain game), I want them to join the group because they’re genuinely interested in what that group has to offer and what they can offer the group. If I incentivize them with the possibility of a free game, that dilutes the pool with a ton of people who are just interested in free. Our games aren’t free to make–a lot of resources go into them–so I’d prefer to engage people who understand that value proposition and aren’t just seeking a free thing. I agree about making connections and rewarding loyal fan, but my way of doing that is to make real connections with them–talking to them and hearing their thoughts–and rewarding them by making great games that are worth their time and money. I can think of several reasons you may not be able to / want to / simply not have any significant data yet — but I am very curious to know if you did notice any prominent drop or rise in sales doing things the traditional route compared to Kickstarter. I’m very curious on numbers of copies and also differences in overall profits. (Doesn’t necessarily need to be specifics though!) I’d say Charterstone came out of the gate marketing-wise very well and on a similar level to Scythe, so could be a good barometer. Merry Christmas, Luke! Thanks for your question. The answer in regards to sales is that they’ve been SIGNIFICANTLY higher since leaving Kickstarter. Now, that’s not necessarily related just to Kickstarter, but I think a big part of it is that distributors and retailers know that we want to work with them as our only sales channel and that we’re not going to cost them sales by putting a new game or reprint on Kickstarter. I think I will start changing my mindset towards Kickstarter — rather than being a sales channel, it is more of a way to build an audience. 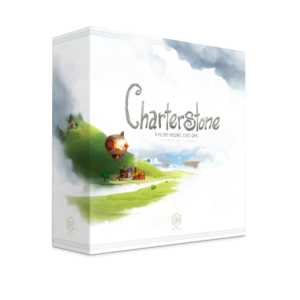 Anecdotally, as a retailer of your games, we did actually order much more of Charterstone and a big reason is the Stonemaier brand has earned a lot of trust now, and I think bypassing a Kickstarter reinforced that. Luke: I think that’s a wise way to look at it. Kickstarter is many things: It’s a way to build community, turn a small, passionate audience into a much bigger audience, a way to make the product better, a way to gauge demand, and a way to raise funds. Thanks for your input as a retailer! It’s interesting how important trust is, whether on Kickstarter or off of it.